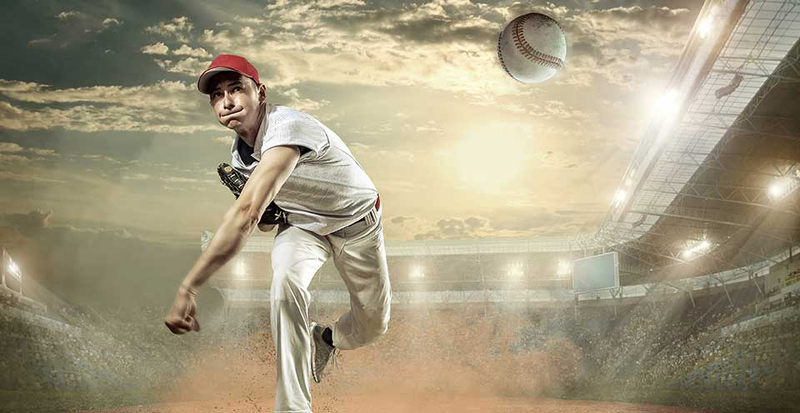 There are those who endure the wrinkle in time otherwise known as winter by counting the days until Pitchers and Catchers – that day of rebirth in mid-February when baseball’s pitchers and catchers report to spring training. But even if you’re not a die-hard fan, you would be thinking at least a little bit about the intricacies of the game if you’ve spent any time reading Michael Lewis’ new book, The Undoing Project: A Friendship That Changed Our Minds. Lewis is the best-selling author of Moneyball, about how the underdog Oakland A’s general manager Billy Beane (played by Brad Pitt in the movie) revolutionized the business of baseball by using data and statistics to challenge how baseball players are valued. In The Undoing Project Lewis tells how, much to his own surprise, he learned that two Israeli psychologists had already done the ground-breaking, Nobel Prize-winning research that explained why Moneyball worked. Lewis’ new book explores the intense, decades’-long collaboration between Daniel Kahneman (author of Thinking, Fast and Slow) and Amos Tversky. Together Kahneman and Tversky challenged some of the most deeply held notions about how our minds function by demonstrating how incomplete our judgments and illogical our decisions can be, especially when confronted with complexity, uncertainty and risk. Their research exploring theories of cognitive bias has had some of its most significant influence in the medical realm. For example, Lewis tells the story of Dr. Donald Redelmeier, a Toronto internist and researcher whose job is, in part, to help trauma surgeons avoid mental errors in life and death situations. One day a car accident victim is brought into Toronto’s Sunnybrook Hospital ER with multiple fractures in her ankles, feet, hips and face. When the young woman’s heart rhythm becomes wildly irregular the team can’t determine why and calls Redelmeier. But the woman is able to tell them she’d had an overactive thyroid; the team thinks that’s the cause, let’s treat it. When Redelmeier arrives in the trauma center, however, he urges the team to slow down and check their thinking. Hyperthyroidism is indeed a cause of irregular heart rhythm, but an infrequent one. He urges them to search for other, more statistically probable causes. And that’s when they find her collapsed lung and the fractured ribs that punctured it. They treat the collapsed lung and the woman’s heartbeat returns to normal. “It was a classic case of the representativeness heuristic,” said Redelmeier. As proposed by Kahneman and Tversky, this heuristic holds that people often make judgmental shortcuts based on one situation being like another. Usually this works to our advantage but every so often sends you off in the wrong direction. Just because something is more representative does not actually make it more likely – although Kahneman and Tverksy’s experiments demonstrated that the mind doesn’t naturally see things that way. Dr. Redelmeier acknowledged that for a hospital to employ him as, in effect, “a connoisseur of medical error” reflects how far medicine has come since he first started out, when doctors were considered (or considered themselves) infallible experts from whom complete certainty (or the appearance of it) was always expected. This is part of the “undoing” that is happening in healthcare right now. Greater complexity is forcing both doctors and patients to work out new approaches to interpreting vast amounts of data, weighing benefit and risk, sharing information and communicating with each other so that better-informed decisions can be made. It is requiring everyone involved to challenge much received wisdom, just as Kahneman and Tversky – and the Oakland A’s – so profoundly did. January 25, 2017 /by MaXas3!